Doesn’t matter if it’s new or just new-to-you, there are a lot of things you will need after buying a mobile home. 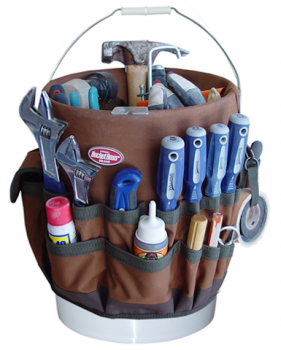 To make it a little easier, we’ve created a list of tools every new mobile home owner should have in their toolbox. 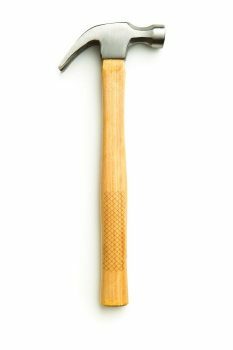 What tool set would be complete without a hammer? 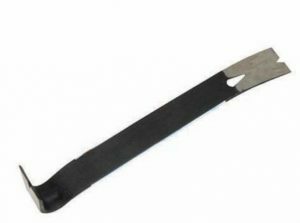 This trusty tool can do the obvious, pound nails into wood or other surfaces. But with the other side of the hammer, known as the claw, you can extract nails with just the up or down pull of the hammer. Flathead screwdrivers are a must for many DIY project. It is used to tighten or loosen slotted screws that just have one straight line indention across the head. Screws that have an X indention on the head requires the use of a Phillips head screwdriver. 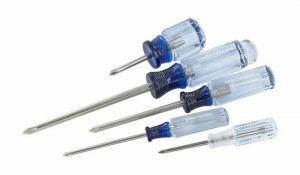 What makes a Phillips head screwdriver so efficient is the alignment it makes with the head so it’s easier to keep the screw going in straight. These screwdrivers come in a variety of sizes. 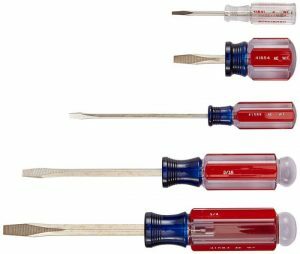 You can always buy a multi-bit screwdriver that has different heads but they tend to be cumbersome if the heads don’t sit tight in the slot. Flat bars are definitely tools every new mobile home owner should have. 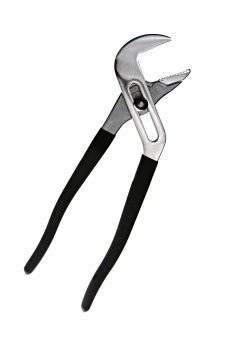 They help to pull out nails that you can’t free with your claw hammer and work great in tight spots to pry boards loose. They come in a variety sizes as well but a shorter one should be enough for most DIY projects. These are especially useful when you want to remove the battens, or strips, from the vinyl coated walls in a mobile home. Just go easy and don’t scar the wall or the batten. Pay attention to the tips, they should be thin. Learn how to update vinyl coated walls in a mobile home here. 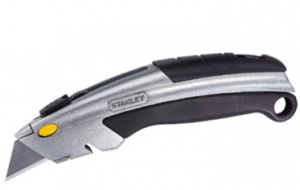 Utility knives have replaceable blades so you can always have a sharp one ready. The knives that store the new blades in the handles are especially handy. Every home needs a ladder of some kind. There is always a spot that you can’t reach when painting, hanging shelves, curtain rods, etc. 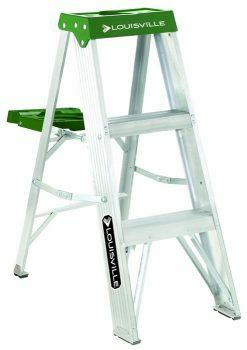 It goes without saying that a small step ladder is a necessity, and is much safer than climbing up on the kitchen chair! Contractor Culture has a great article that can help you decide which ladder best fits your needs! Channel locks are one of the most versatile tools to have around. They are easily adjustable so they can accommodate any size object just by sliding the jaws and locking them into place. 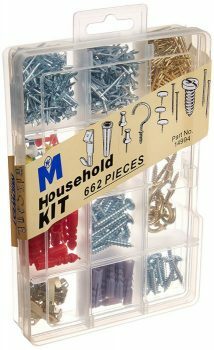 A fastener’s kit should be in every home. A good kit usually includes a variety of picture hangers, screws, nails, and wall anchors in a mix of sizes for any home project need. 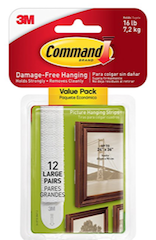 Command Hooks aren’t a terrible idea to keep on hand. They can help you hang photos and decor in areas without studs. I didn’t think they would really work till I wanted to hang a small canvas picture in a place without a stud. It’s been up for months and hasn’t fell yet. I’m impressed. 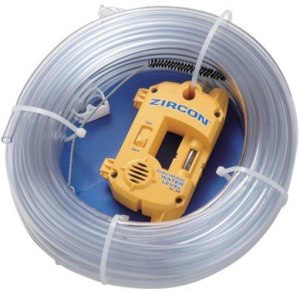 One of the Most important tools every new mobile home owner should have is a water level. For a mobile home owner, a water level is a good thing to have around. Experts advise that newly installed manufactured homes should be checked for level every year or two for the first several years. Mobile homes do settle and being able to check it yourself will save you money. Power tools are handy little things to have around! Over the last few years they have went down in price quite a bit so they really are tools every new mobile home owner should have in their arsenal. Read about power tools that will pay for themselves on NYTimes. Any DIY project is easier (and a bit more fun) with a set of power tools. 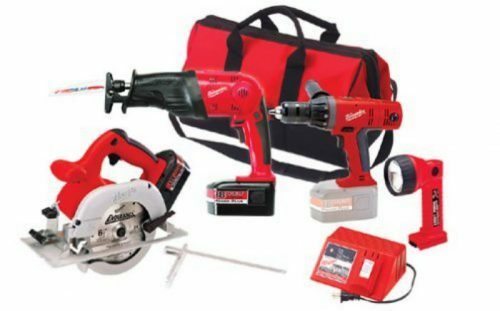 Sets usually include a drill, circular saw, reciprocating saw, and a flash light. They range from 18 volt to 20 volt. A kit is a good place to start, just make sure it includes the batteries and charger. Check out these saw types by Toolnerds.com. Power tools make many DIY projects quick and easy. Along with the power tools, a variety set of tips for the drill are more tools every new mobile home owner should have. The best set will include the star tip and square tip that are so commonly found in the older mobile homes. They are interchangeable on the drill end and will make work so much faster! Of course, you need a place to store all these cool tools every new mobile home owner should have. These days, you aren’t stuck with just a regular ole’ toolbox anymore. One of the most convenient tool storage products I’ve used is the canvas insert that turns a 5 gallon bucket into an organized toolbox. You can haul a lot of stuff in a 5 gallon buck and the canvas has straps to hold screw drivers and hammers on the outside of the bucket. These are just a few ideas for tools every new mobile home owner should have. There are so many awesome tools and DIY home improvement products available nowadays. Don’t think you have to go buy all these at one time. It takes years to build a great tool arsenal. Quick Tip: Believe it or not, flea markets are a great place to find the older and much better made tools. 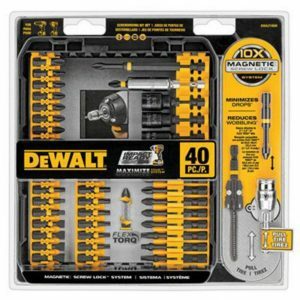 Tool outlets have cheap prices because they sell cheap products. When it comes to tools, it’s a good idea to buy the best quality you can. 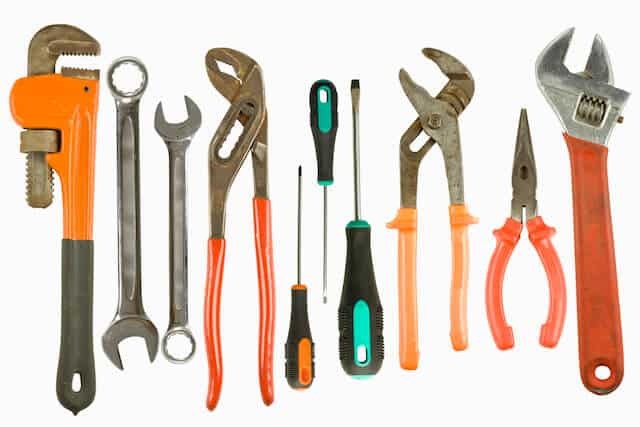 With these tools you can tackle just about any minor repair or remodeling job in a mobile home. Are there any tools you just can’t live without? If so, comment below and let our readers know! Please Note: A lot of the links in this post are affiliate links. If you buy through the links we get a small percentage of the sale at no cost to you. We definitely appreciate your support and hope to continue offering many more helpful articles for mobile and manufactured home owners. Thank you! Basically any tool that a stick built home might need. There’s not that much difference in repairs.